However, whether retirement is forced or chosen, it is unescapable. And most people often view retirement with rose-colored glasses, said John Loyd, certified financial planner. In order to have a successful and blissful retirement, you must do it right because the game has changed. It’s a whole new ballgame when planning for retirement. With three very different generations in today’s workforce, there are many obstacles and choices that must be considered carefully. This is especially true if you are planning to embark upon this new transition into life before the age of 60. Knowing the rules and avoiding the mistakes can help you achieve this. Rule No. 1: Have a Plan Think about your life today, your career, your house and lifestyle. Years of working hard have gotten you to where you are at this moment. It took time, planning and learning from your mistakes to gain the knowledge and expertise to advance in your career and life. Mastering retirement is no different. 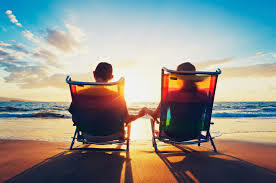 Many that retire have given little thought to how they will spend the rest of their lives. Sometimes “retiring” is a knee-jerk reaction where a person has just “had enough” and wants out, said Loyd. “I often ask, ‘You’re retired, and it’s now Monday. What are you going to do?’ The typical answer with a big smile is ‘NOTHING!’ I press again, however, and say, ‘Seriously, it’s Monday. What are you going to do?’ The blood sometimes drains from their face as they have a sudden realization that they don’t know,” he said. No one wants to outlive his or her assets, and planning ahead can make a major difference, said Loyd. “A competent financial advisor can make one’s life much easier,” he said. Speak with wealth management specialists, start a retirement plan and get educated and savvy about your retirement so you can ask really good questions and make informed decisions, said Collinson. Research shows that many married women and men do not know as much as they should about their spouse’s retirement investment, especially women, she said. Lastly, plan what you will do with your time. Many people financially plan for retirement but do not plan what they will do with their time, said Loyd. There is usually an adjustment period that can leave a person feeling depressed. Rule No. 2: Calculate Your Time We live in a very dynamic and exciting time especially when we look at technology and medical breakthroughs. In the future, people could very well live to be 150 years old. The golden rule of early retirement is to realize you are likely to live much longer than your parents and grandparents. And not just living longer but living a more active lifestyle, said Loyd. Increases in life expectancies and longevity can change the whole retirement equation. It is important to know if you retire at 60 or earlier, you need to have an income that will last at least 30 to 40 years. Susan Gutierrez retired from Miller Brewing Company in 2010 after a work-related accident. It wasn’t until a divorce at age 50 that she started saving for retirement. “When you are working and making good money, you don’t worry about money that much,” said Gutierrez. “The world has changed so much in my lifetime. Everything costs so much. Looking back, I cannot believe I didn’t plan for the future,” she said. Rule No. 3: Take Personal Responsibility It is important to take a hard financial look in the mirror and know where you stand, Collinson said. Pensions are going away because they are so expensive, and social security leaves people with a fear that there is going to be less and less left, said Gordon Rhodes, president and financial consultant of Rhodes Security, Inc.
“Just assume you’re not going to get social security at all, and if you do get it, it’s just a bonus. 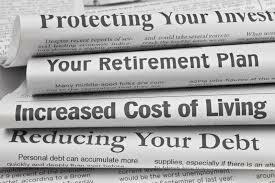 So plan accordingly and take personal responsibility for your own retirement,” he said. Put away as much as you can into your IRAs, 401Ks and personal savings and know the penalties and payoffs for each. 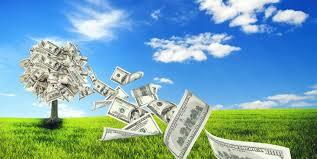 Get a variable annuity with a guaranteed income iron attached. It is like building your own pension plan. You’re guaranteed a certain amount of money for the rest of your life even if the market goes down. The biggest problem I see is that people do not save enough money, invest or consult a financial advisor, he said. Next you need to invest and be patient, he said. “Open a mutual fund account. With this interest rate environment we’re in, it’s a very different ballgame. You cannot get away with just getting bonds anymore. Because rates are so low, you have to have equities to pay dividends,” he said. “Pick a specific amount of money you can spare each month, and let that money come out of your bank account automatically into a mutual fund,” Rhodes said. “The biggest thing for a millennial just starting out in their career is to have long-term patience and to realize wealth grows exponentially. The capital market is one of the greatest inventions to bring someone from the lower of middle class into wealth, as long as they are patient and take the time and do it right,” he said. Rule No. 4: Eliminate Debt There is too much debt and too little savings in America since 2008, said Rhodes. People don’t plan properly sometimes, and living for the weekend can be dangerous.